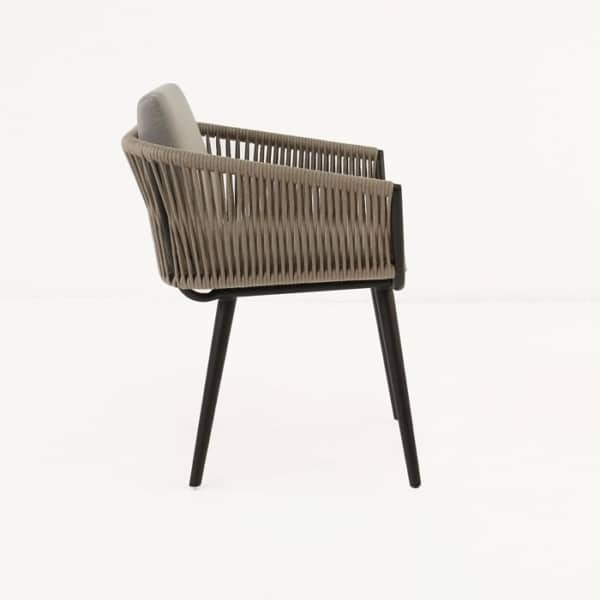 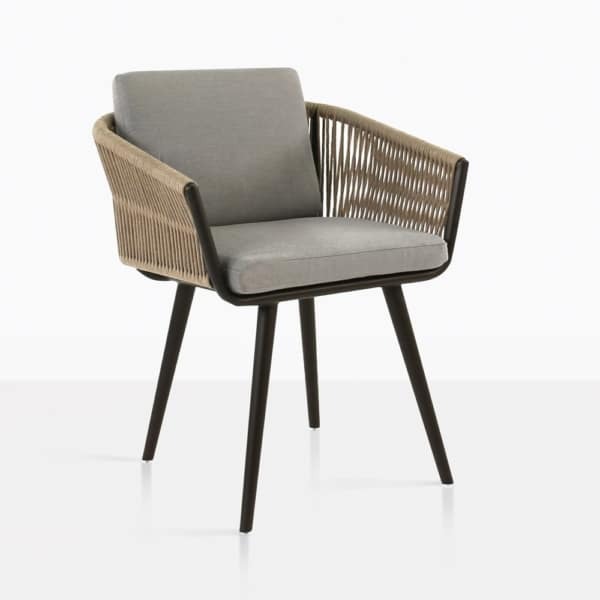 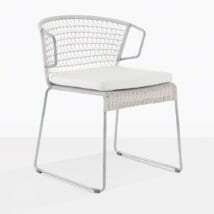 The Tessa Rope Outdoor Dining Chair is a great addition to any outdoor dining table. 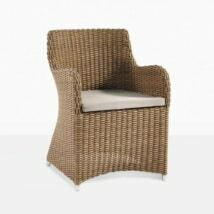 It has a sophisticated style and is made with amazing materials. 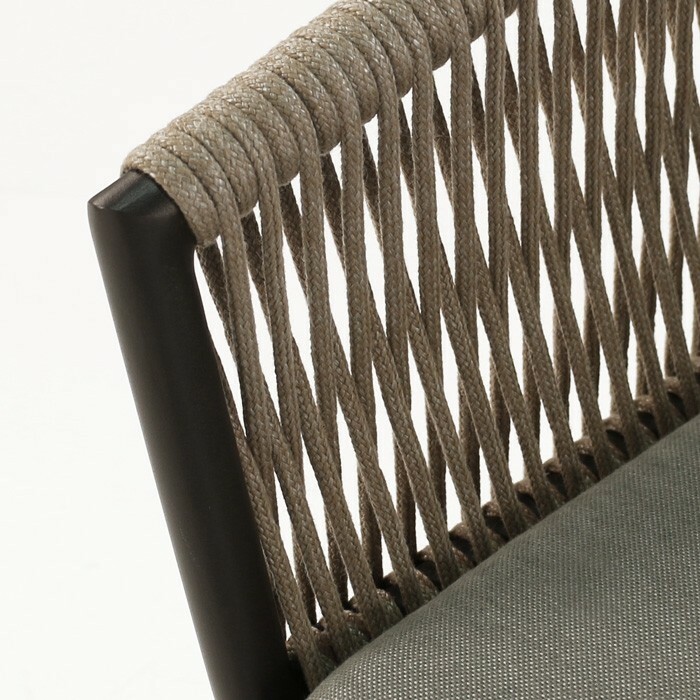 The innovative materials include an impeccable synthetic rope made from polypropylene that looks natural, and offers incredible outdoor weather protection. 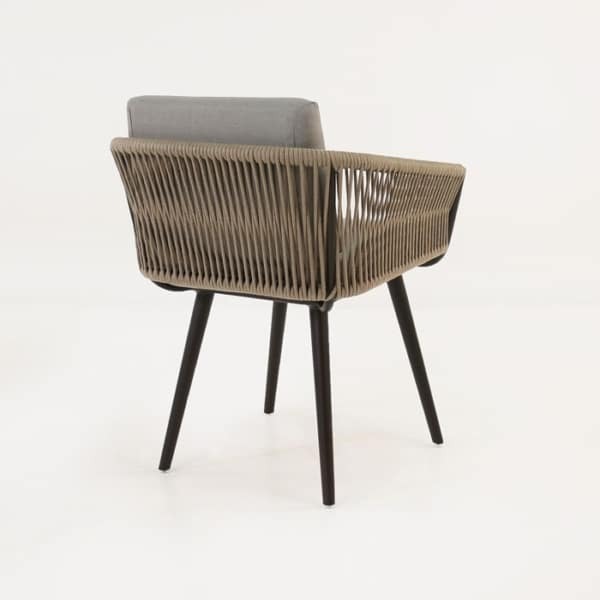 The frame of this dining chair is in a semi tub style with very contemporary lines. 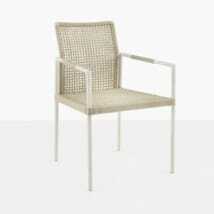 The look is a mix of traditional, which is very approachable, and contemporary, which offers a fresh, clean look. 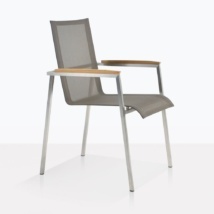 The brown powder-coated aluminum frame is lightweight and offers a wide stance and tapered arms. The woven rope structure over the frame offers a comfortable seating and back surface and looks amazing. This unique, fun dining chair offers a fantastic look that can fit in anywhere.